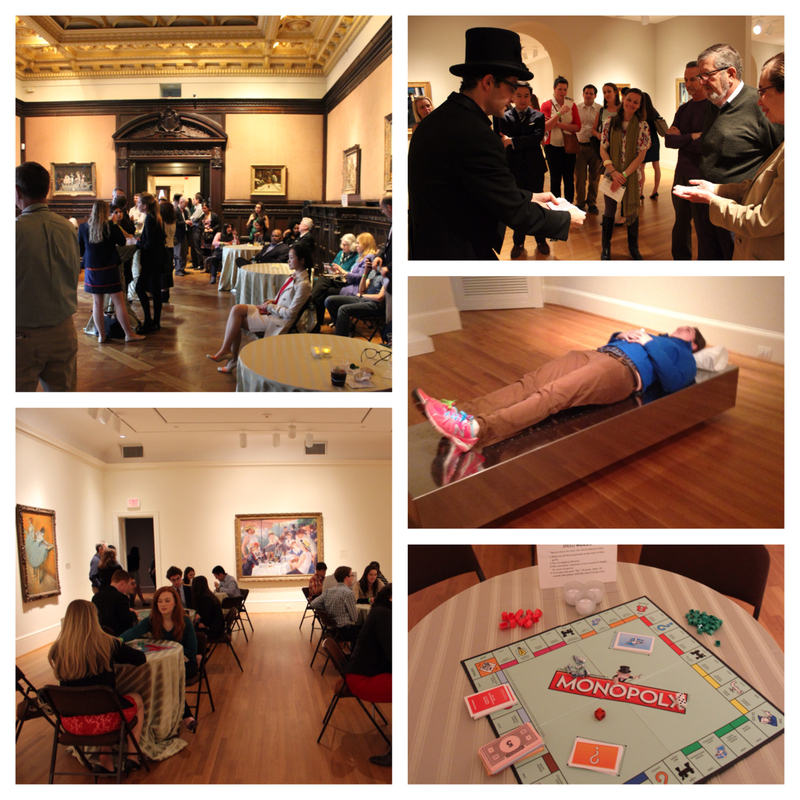 From vaudeville-inspired magic to prohibition punch and board games from the 1930s, visitors had a blast at our Suppress the Depression Phillips after 5. For those feeling a bit overwhelmed by the lively atmosphere Valeksa Soares’s Fainitng Couch (2011) offered the perfect place for a moment of rest and restoration. This entry was posted in Experiment Station and tagged 1930s, Fainting Couch, magic, Phillips after 5, Valeksa Soares. Bookmark the permalink.